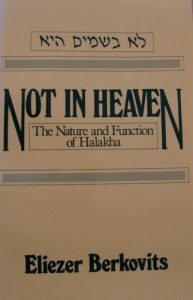 As I make my way through the stack of books that will go into the writing of Havruta with a One-Eyed Cat, probably the one that I return to most often is Eliezer Berkovits’ classic Not in Heaven. Here, R’ Berkovits sets out in clear, lucid arguments his philosophy of Jewish Law (Halakhah): “[Specific rulings] are somehow based on textual interpretation. But quite clearly, it is the halakhic conscience that creates the interpretation” (Berkovits, p 22). R’ Berkovits argues that while truth is important, it is not of supreme importance. In fact, the need for human coexistence—with each other and with the rest of the created world—is of greater importance than objective truth. In order to see this discussion in context, it’s worth going back to the background of the dispute. What was the discussion actually about? The purity or impurity of a makeshift camping stove! By the time of the dispute between R’ Eliezer and the rabbis, the issue had already become purely theoretical, with no practical import. And yet, there is a reason why our story revolves around an issue of purity and impurity. 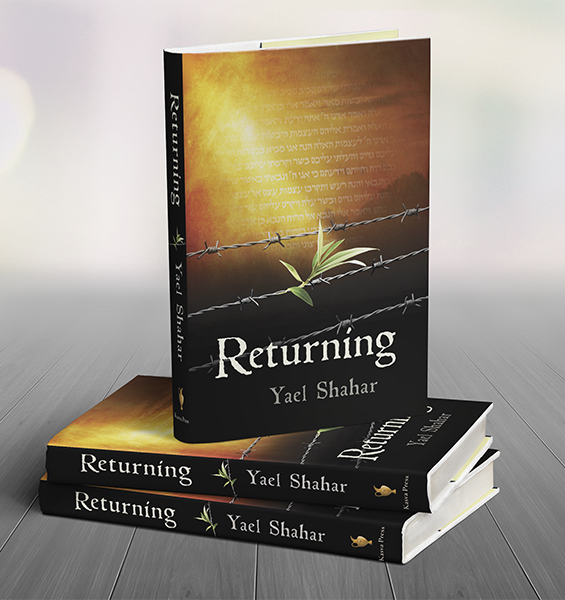 These laws had always marked the dividing line between two camps of Jewish authorities: those who ruled by appeal to received tradition (mesorah), and those who ruled by human reasoning (s’varah) applied to present circumstances. It all comes down to the relative weight of the human vs. the divine in Halakhah. It is tempting to base the need for pragmatic vs. absolute truth on the limitations of the human mind: as embodied beings, our minds are simply not capable of grasping absolute, divine truth. But if that were the case, it would seem to argue for the position of R’ Eliezer and against that of the rabbis: if our minds are incapable of divine reasoning, then let us fall back on the divinely-sanctioned mesorah! 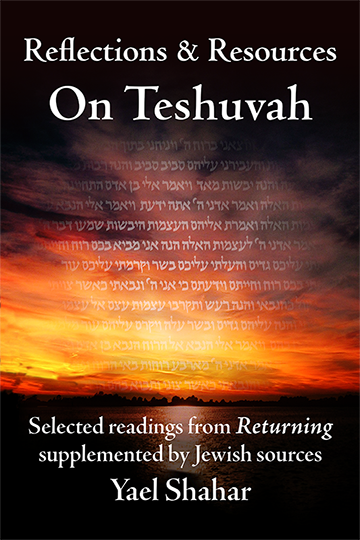 According to one opinion in the Jerusalemite Talmud, the human share in the interpretation of the Torah is unavoidable; it is the vital requirement for the realization of the Torah in the life of the people through its changing history. Human reasoning is not “instead of” the divinely-sanctioned tradition; it is part of it! And this is not because of the limitations of human understanding. Hinted at here is a far deeper reason: the notion that we apply our reasoning to the received tradition because of something built into the structure of creation itself. It isn’t the capacity of our minds that’s lacking. Rather, the reality is undetermined until the time comes for it to be determined. We can’t ask God to tell us the future, not because we wouldn’t understand, but because the future has not yet been decided. We are part of what makes things happen in one way rather than another. Hence, the reaction of God when confronted with the sages’ refusal to accept the judgement of the Heavenly Voice in the case of the Tanur shel Achnai: “My children have defeated me.” It is the victory of the created world itself—the victory of a chaotic creation that is actually capable of surprising and delighting its Creator.